Mr. Paul Harshaw has over 20 years of experience at the Bar and was the founder of his former law firm, Harshaw & Co. 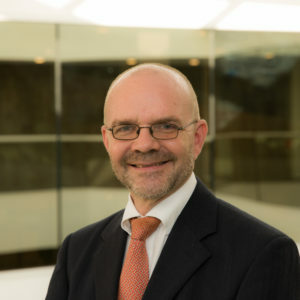 He practises in international and commercial matters, including letters of request for judicial assistance from foreign courts, enforcing foreign judgments in Bermuda, advising and representing parties (including liquidators and trustees) in bankruptcy and in cross-border insolvency proceedings, bringing and defending domestic actions involving Bermuda residents, partnerships, companies, trusts and trustees and providing advice and representation in employment matters, company, trust, personal insolvency, professional negligence, personal injury and mortgage actions. In addition to advocacy, Mr. Harshaw has chaired Boards of Inquiry under Bermuda’s Human Rights Act and has lectured on Bermuda’s Proceeds of Crime and Anti-Money Laundering legislation and the tension between that legislation and the law relating to confidentiality and the constitutionally protected right of legal professional privilege in Bermuda. R v. Hoskins  Bda LR 25 is currently the only reported decision in Bermuda on the powers conferred by the Proceeds of Crime Act 1997 to obtain information from a third party (law firm) by way of Production Order (Mr. Harshaw acting for the third party law firm). In Re Refco Capital Markets, Ltd and Refco Global Finance Limited  Bda LR 94 Mr. Harshaw successfully argued on behalf of the joint provisional liquidators of Refco Capital Markets, Ltd and Refco Global Finance Limited in Bermuda that the assessment (or “taxation” as it is called) of their costs was a matter for the Supreme Court of Bermuda, notwithstanding the position of the Committee of Unsecured Creditors and the Chapter 11 Trustee in US proceedings, which all agreed were the centre of main interest, that those costs should be assessed by the United States Bankruptcy Court, which court had control of the over-arching proceedings. In the conjoined applications in Warren v. Harvey; Thomson v. Thomson and Colonial Insurance Company Limited; Argus Insurance v. Somers Isles Insurance Company Ltd.  Bda LR 59 Mr. Harshaw successfully argued, on the basis of expert economic and actuarial evidence, that the “discount rate” applied to damages for future loss in personal injury and clinical negligence cases should not be between 4% and 5% as had been the case in Bermuda since 1993, but should be variable depending on where the injured party resided (whether in Bermuda or the UK) and also that the “discount rate” was now actually a negative number which increased, rather than decreased, the sum payable to an injured party. Mr. Harshaw further successfully argued that a different “discount rate” should apply to different heads of claim on the basis that price inflation and wage inflation did not always march hand-in-hand (whether in Bermuda or the UK). The decision of the Chief Justice in that case was upheld on appeal by the Court of Appeal for Bermuda in which Mr. Harshaw appeared with David Wescott QC:  Bda LR 41. 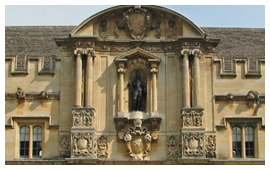 Mr. Harshaw obtained his LLB with Honours at the University of Buckingham (England) in 1995 and was called to the Bar of England and Wales by the Honourable Society of Lincoln’s Inn in 1997 and the Bermuda Bar in 1998. Paul Harshaw is the the co-author of the Bermuda chapter of The Employment Law Review (8th ed. 2017), Law Research Business Ltd. (UK).